This weeks new discoveries | This is Lauren. On my path to changing to a whole-food vegan diet, I'm discovering new ingredients that I've never heard of or used before. Taking meat and dairy out of my diet is hard, but with the excitement of trying new ingredients and recipes, I don't feel at all deprived, but incredibly excited for every meal. I also discovered the food blogger 'Deliciously Ella', I bought her recipe book and I'm now absolutely obsessed! It's thanks to her that I'm discovering so many tasty recipes and vegan ingredients which are, as of buying her cookbook, a daily staple in my diet. Her vegan, gluten-free, whole-food and refined-sugar free diet is inspiring and SO delicious! 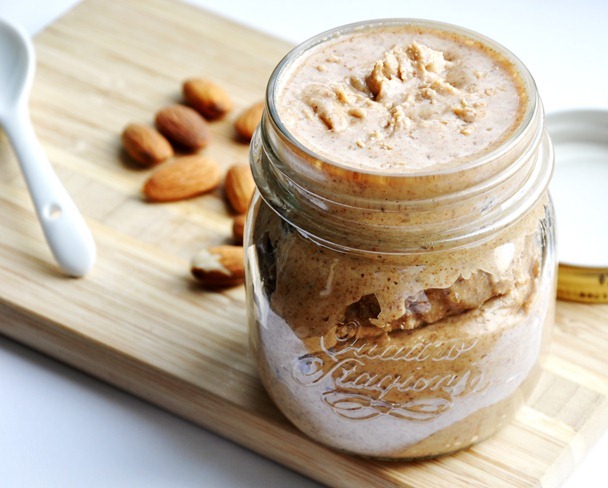 Almond butter - I've always loved almonds but I can't believe how much I ADORE this, it's packed full of healthy Omega-3 fats which fight against heart disease, as well as having a high amount of calcium. It's high calorie but because it's so nutritious it's completely guilt free! Chia seeds - You may have heard of these before, and let me tell you, it's for good reason! When they soak in nut milk they swell up to create a really unusual but amazing jelly-like seed. 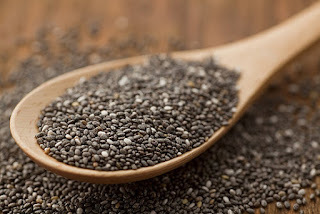 They're super seeds when it comes to their magnesium content (83% of your RDA per 100g!) which is essential for many biochemical reactions in the body, and can help relieve symptoms of PMS. They're also high in calcium and protein. How I ate it: I made my porridge with chia seeds mixed in. As they need soaking overnight, I mixed 20g of oats with 20g seeds and covered with plenty of almond milk the night before, then I just needed to pop it in the oven (180c) in the morning for 10 minutes and it was all ready to eat! It was a nice alternative to my regular porridge. I also stirred in home-made vegan nutella, ground ginger and orange zest.